2 Make brownie batter as directed on box, using 1/4 cup oil, 2 tablespoons water and the egg. Spread 3/4 of the batter in pan. Spoon filling by tablespoonfuls evenly over batter. Spoon remaining brownie batter over filling. Cut through batter several times with knife for marbled design. 3 Bake 40 to 45 minutes or until toothpick inserted 1 inch from side of pan comes out almost clean. Cool completely. Cut into 4 rows by 4 rows. Store covered in refrigerator. 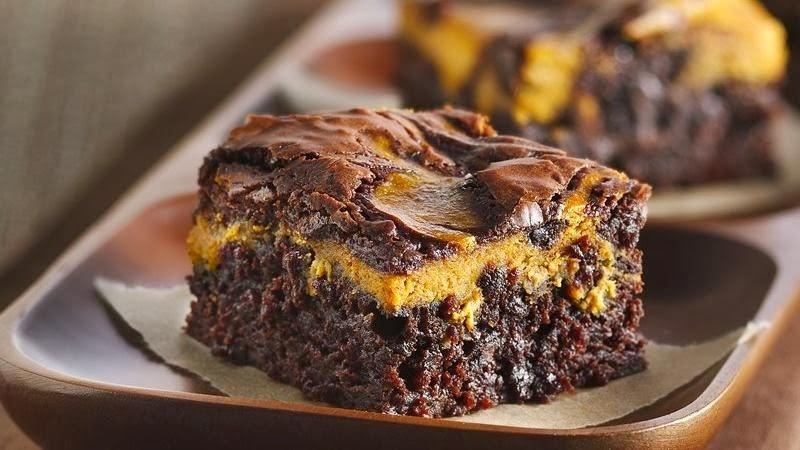 You can freeze brownies for up to six months. Wrap them up individually and they'll be ready for packing in lunches.